Up to 2x longer life vs standard chisels. Lengthened tip provides longer lifetime. Tip maintains shape throughout its life minimising the need for re-sharpening. Reinforced head maintains head shape over life of bit. 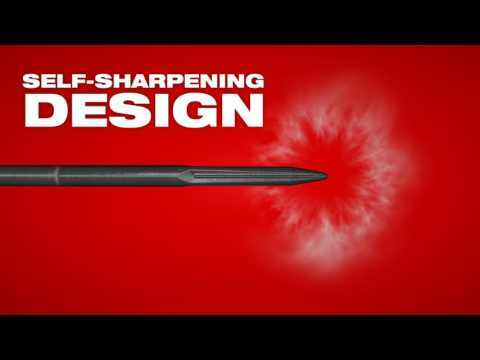 Provides self-sharpening action and maintains productivity level by efficiently breaking material.